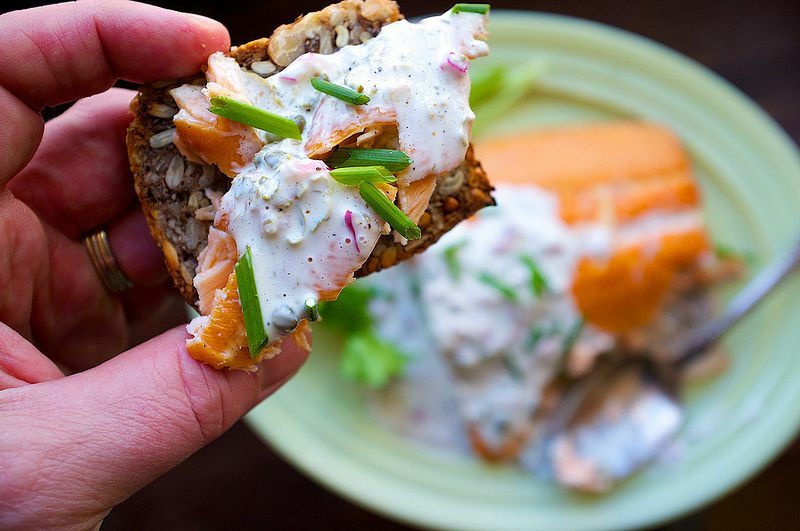 Today: With good smoked salmon on hand, you can have an impressive appetizer ready in 5 minutes flat. Here's how. Last summer, my mother asked me to make cupcakes for the June birthdays. We have several in June and, in order to make it easy, we celebrate them all at once. Nevertheless, I forgot to make the cupcakes and I was on my way to the party when I remembered. "Oops," or as Vivian, my daughter who never misses an opportunity to repeat a cuss word, noted from the back seat, "Oops" was more like a cuss word or three. More: How to avoid store-bought birthday cupcakes. More: Round out your menu with 7 effortless crostini. Let's talk salmon for a minute -- there are multiple products out there called smoked salmon but they aren’t all the same. 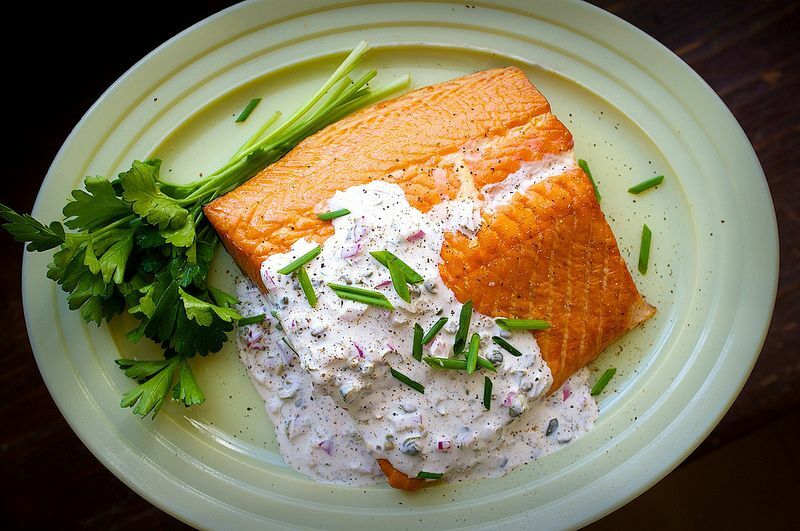 I am talking about hot-smoked Alaskan salmon: antiqued and tanned, the color of a leather Ralph Lauren couch housed somewhere in a hand-hewn log lodge in the wilds of Montana. 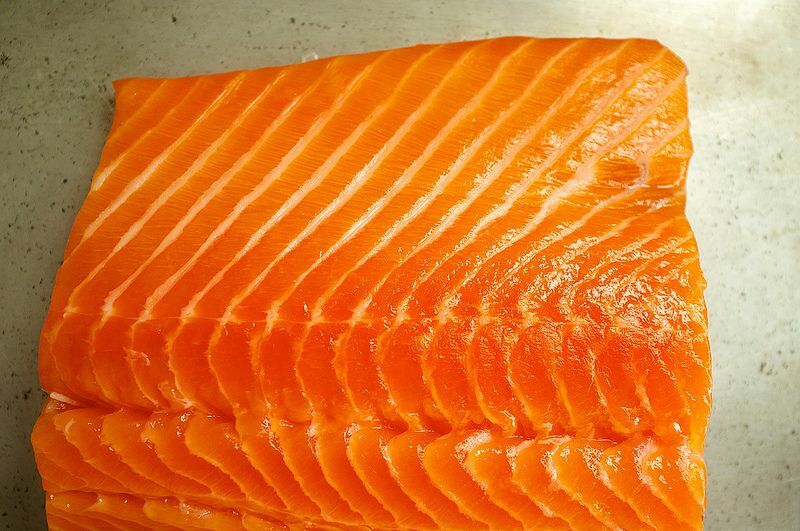 Classic and full character, not like pink cured salmon or lox or cold-smoked cured salmon. All are good, but what I am looking for here is a side of fish that is dug into with a spoon, served on hearty whole grain crackers or rye, not slices laid on toasted bagels. When I have the time, I smoke the salmon myself. It isn’t complicated, but this is you-got-home-late-from-work-and-have-to-get-to-the-party convenience. From now on you will hear your host ask, "Can you bring that wonderful salmon dish you you make?" And you will hear it for years to come. See the full recipe (and save and print) it here. I agree with jancf..this looks yummy and please do share what that delicious looking cracker or bread is! Sounds delish! Any magic recipe for the brown seedy bread in the photo?